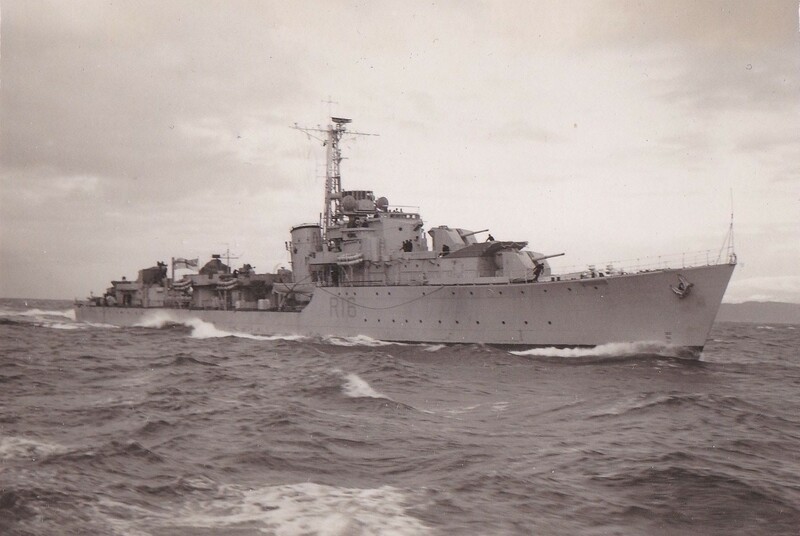 In Jan 1945, after a year's discussion, the British Admiralty agreed to lend the RCN a flotilla of "C" Class destroyers for use against the Japanese. 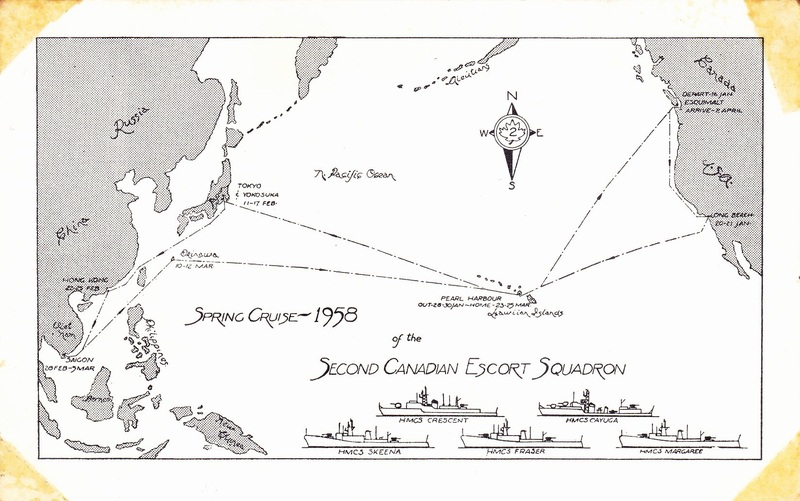 The Pacific war ended, however, before any of the eight ships had been completed, and only two were transferred. 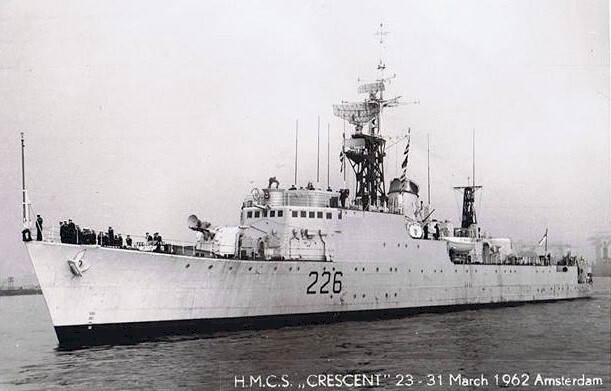 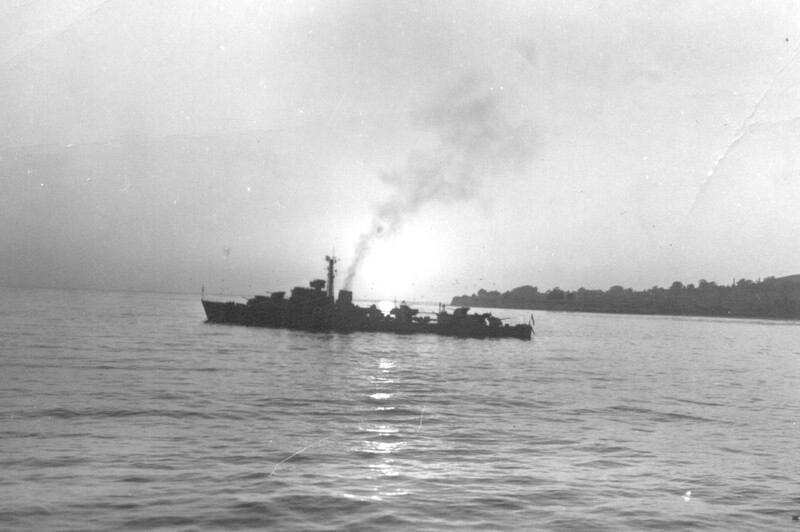 The previous ships to bear their names, Crescent and Crusader, had been lost during the war as HMC Ships Fraser and Ottawa; this time they retained their names although the transfer was made permanent in 1951. 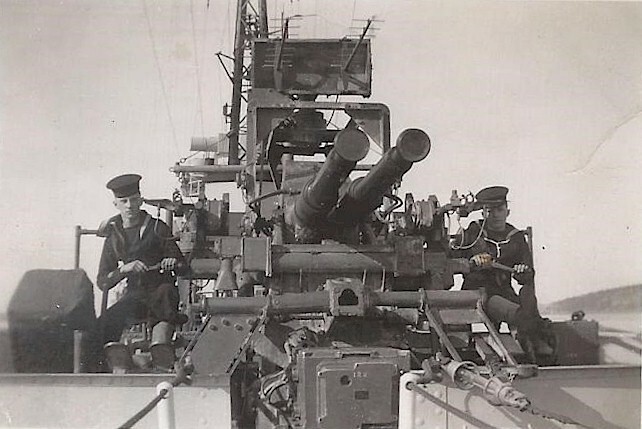 Crescent and Crusader were virtually identical to Algonquin and Sioux, differing principally in having only one set of torpedo tubes and in being armed with 4.5-inch guns instead of 4.7-inch. 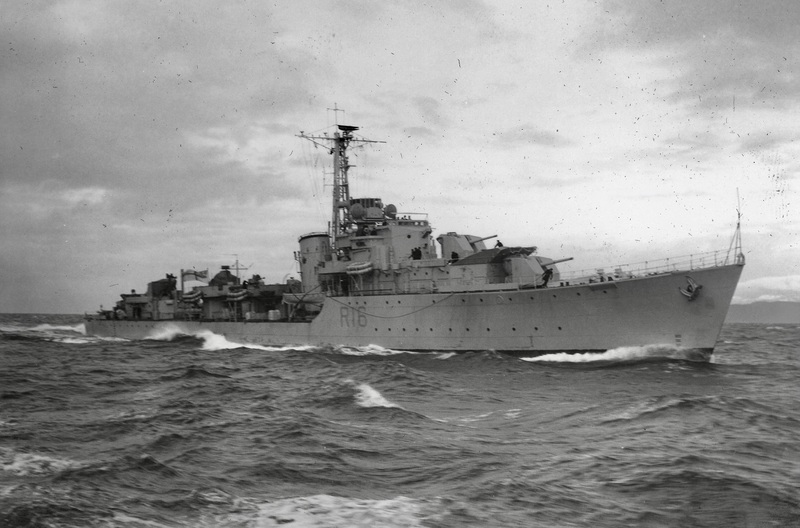 Both ships were commissioned on the Clyde in 1945, Crescent on 10 Sep 1945 and Crusader on 15 Nov 1945. 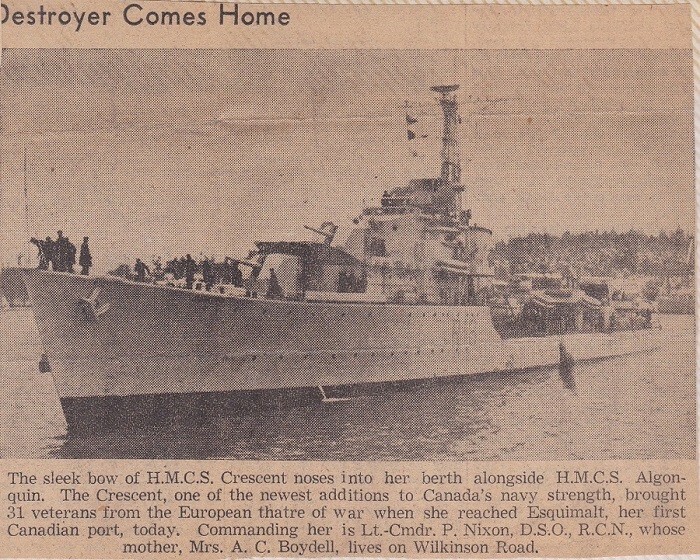 Crescent arrived at Esquimalt in Nov 1945, having made the journey via the Azores and the West Indies. 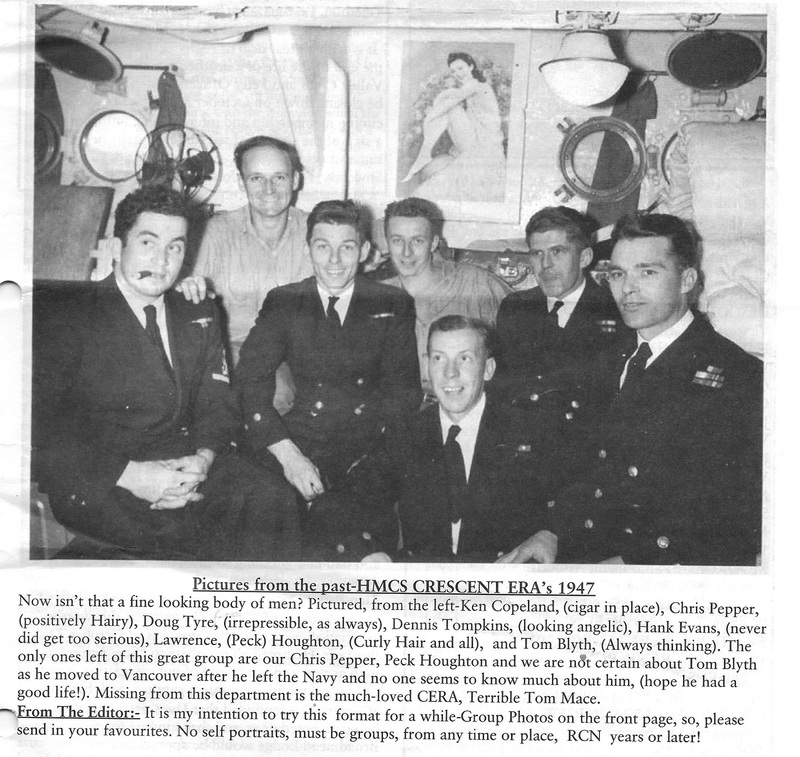 In Feb 1949 HMCS Crescent was sent to China to safeguard Canadian interests during the Chinese Civil War. 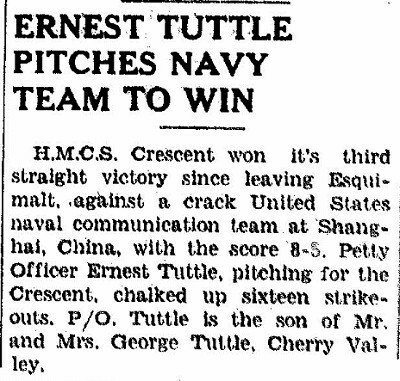 She arrived at Shanghai on 26 February - and then on 11 Mar 1949, entered Chinese waters and sailed to Nanjing via the Yangtze River, arriving at Nanjing on 20 Mar 1949. Crescent remained on station until 23 Mar 1949 when she was relieved at Nanjing by HMS Consort. 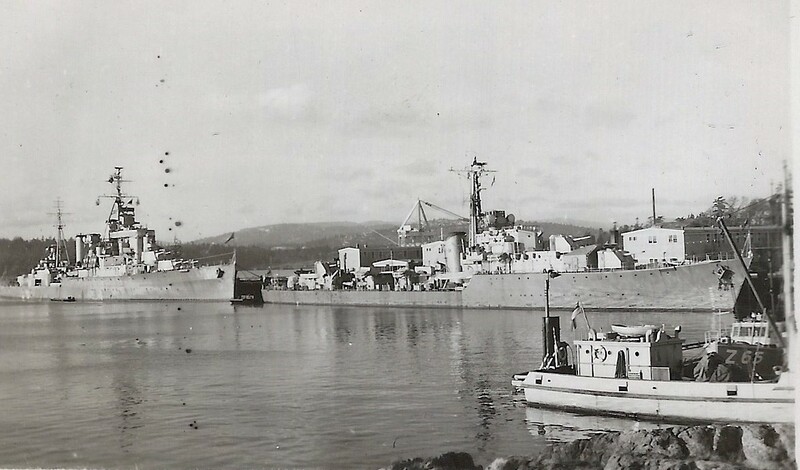 She then sailed for Hong Kong and remained in the area until May 1949 when she returned to Esquimalt. 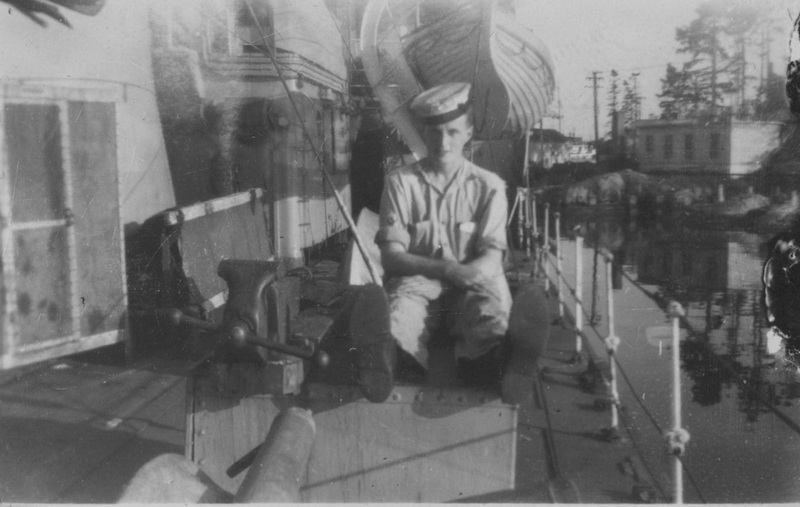 About a month after her arrival on station 85 ratings staged a mutiny where they locked themselves in the mess decks and refused to turn to until the Captain heard their grievances. 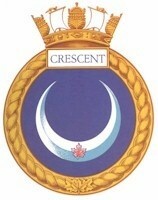 Crescent carried out training duties until taken in hand for a major conversion in 1953. 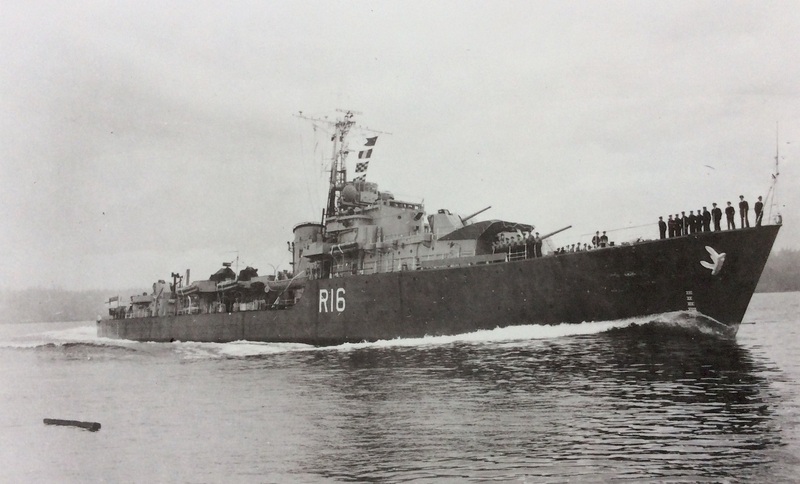 She emerged in 1956 as a "fast A/S frigate," following an RN pattern which entailed stripping her to deck level, extending the fo'c's'le right aft, erecting new superstructure, and fitting completely new armament. 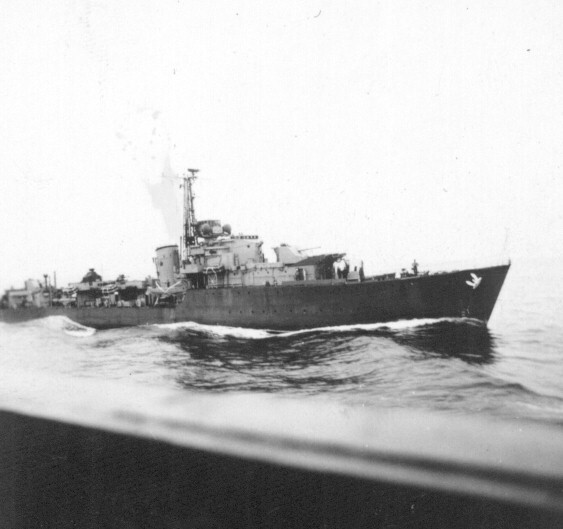 She was now a near-sister to Algonquin, which had undergone similar transformation earlier. 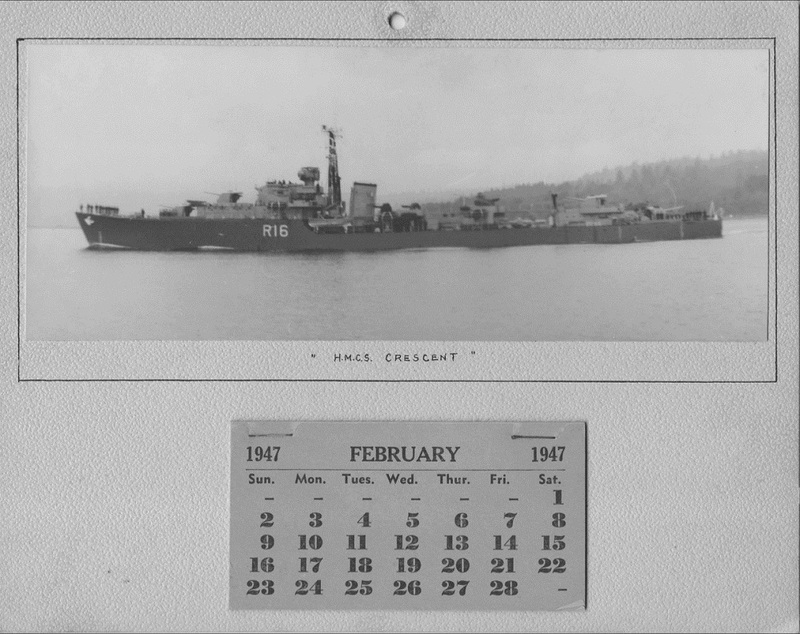 On 15 Jan 1958 HMCS Cayuga 218, HMCS Crescent 226, HMCS Fraser 233, HMCS Margaree 230, HMCS Skeena 207 departed Esquimalt, BC, for a Far Eastern Training cruise. 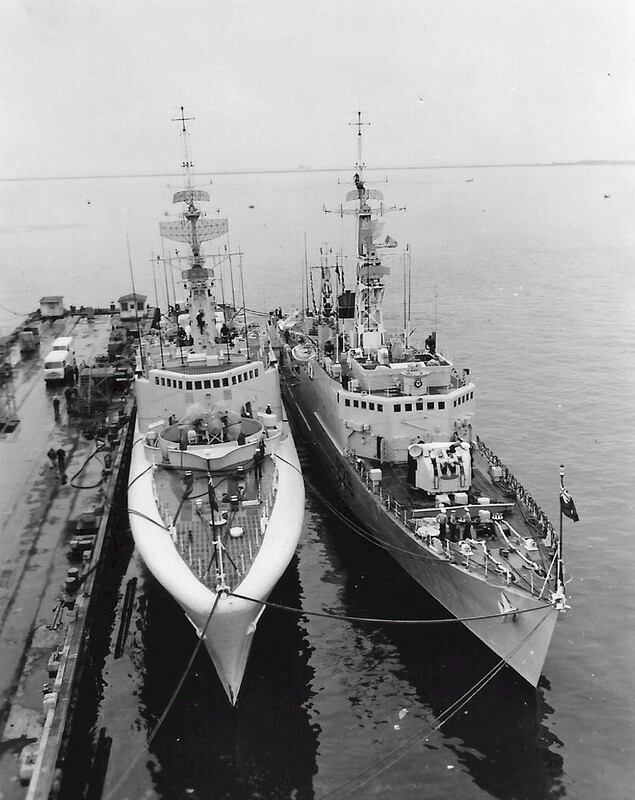 In Feb 1959, HMCS Crescent and HMCS Assiniboine met at San Diego and exchanged crews. 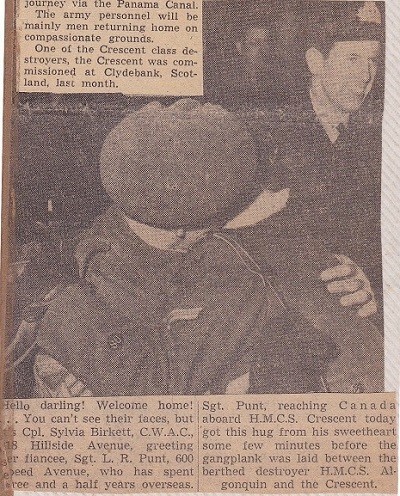 Crescent was paid off at Esquimalt on 01 Apr 1970. 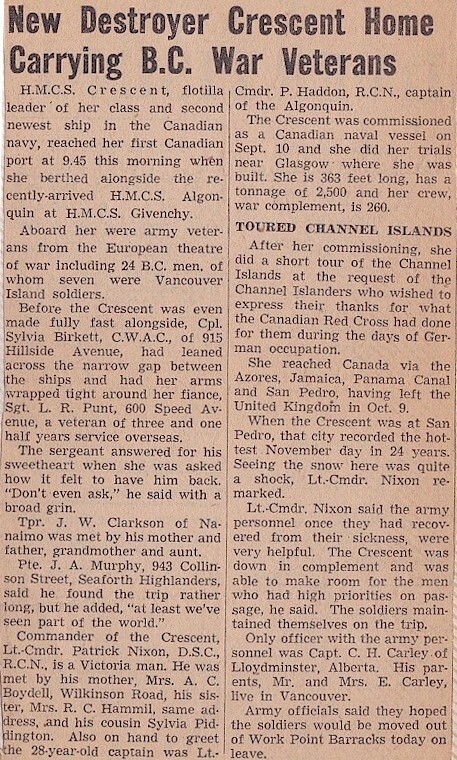 She left Victoria with Algonquin on 21 Apr 1971, for Taiwan, to be broken up. 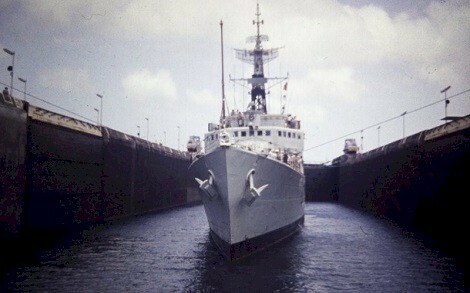 She arrived at Taiwan on 15 May 1971. 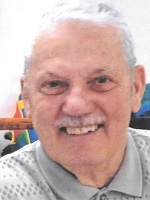 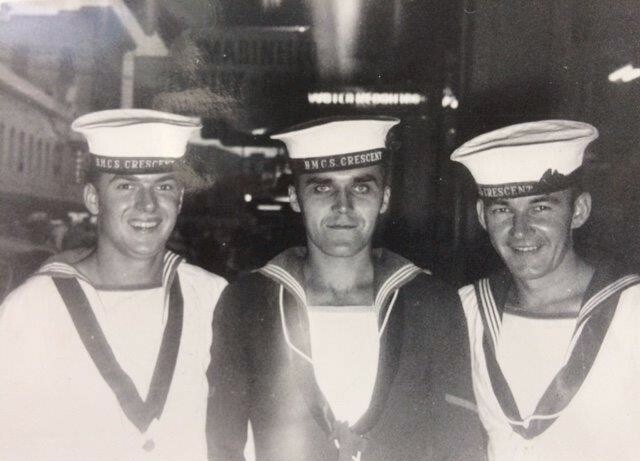 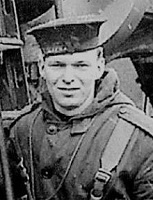 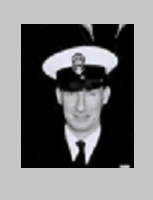 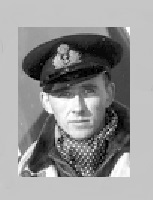 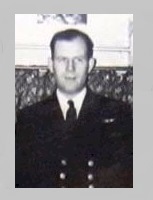 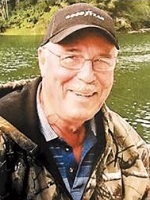 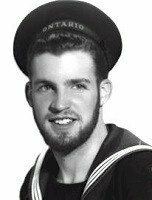 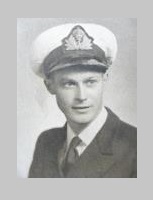 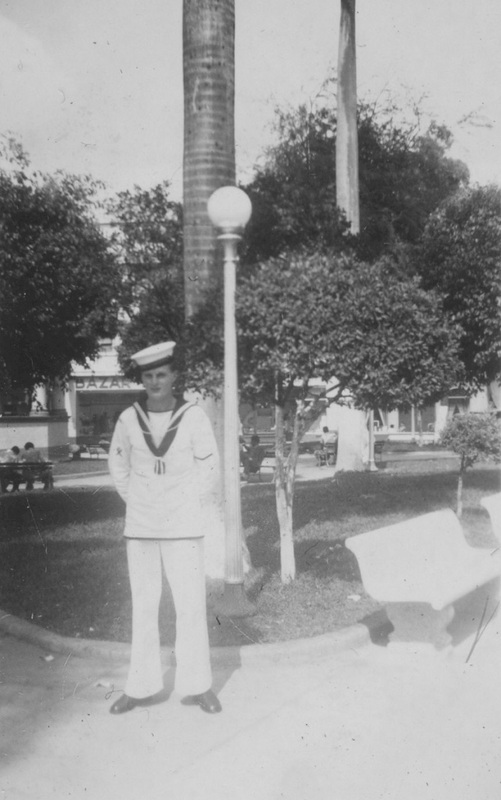 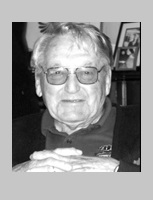 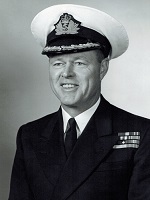 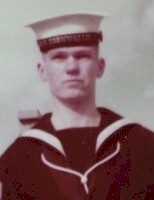 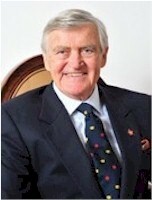 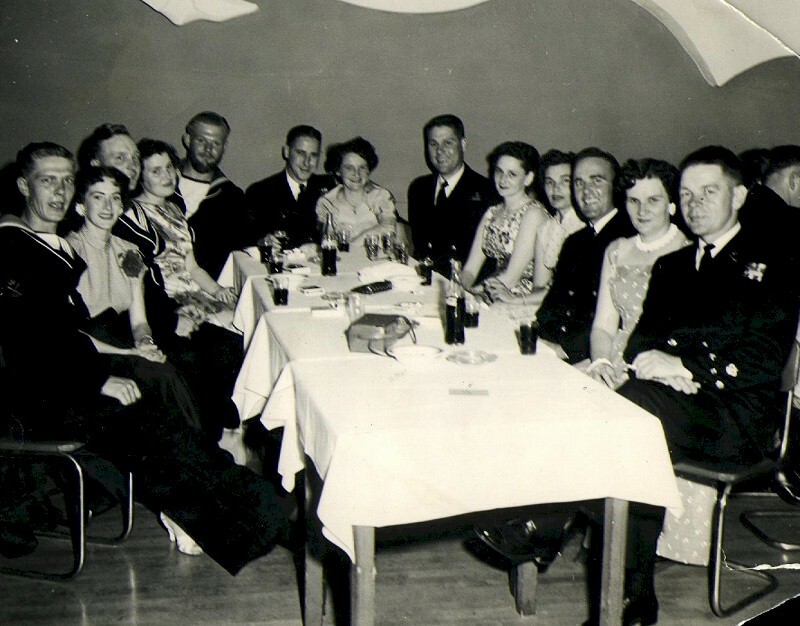 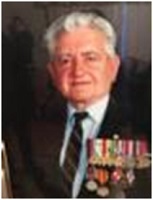 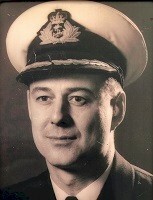 Served in Crescent in 1964 as LCdr, RCN, X.O. 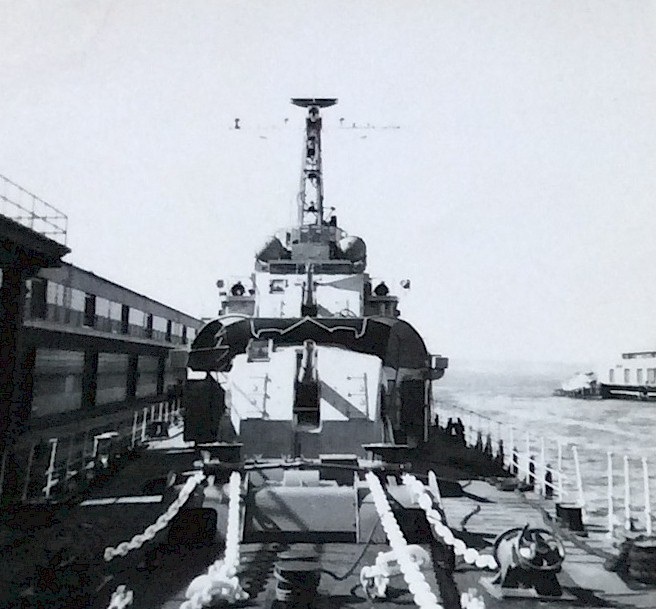 HMCS Crescent 226 transiting the locks of the Panama Canal with HMCS Algonquin 224 and HMCS Columbia 260 during the Halifax - Esquimalt transfer Feb-Apr 1967. 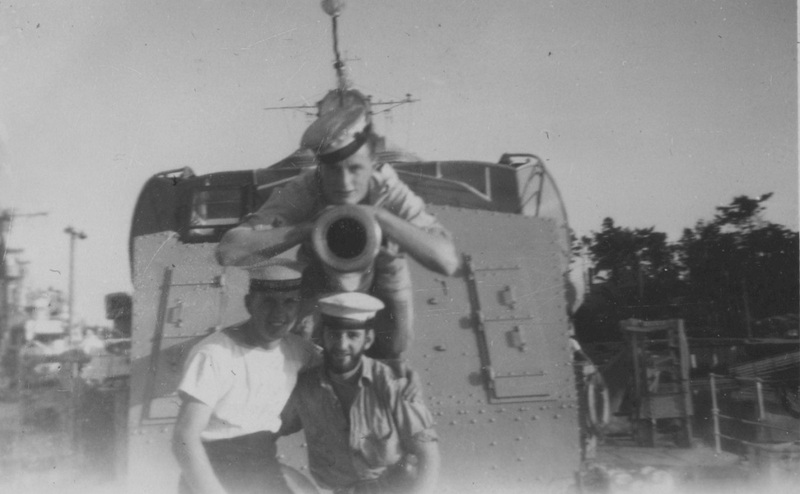 Photo taken from HMCS Algonquin. 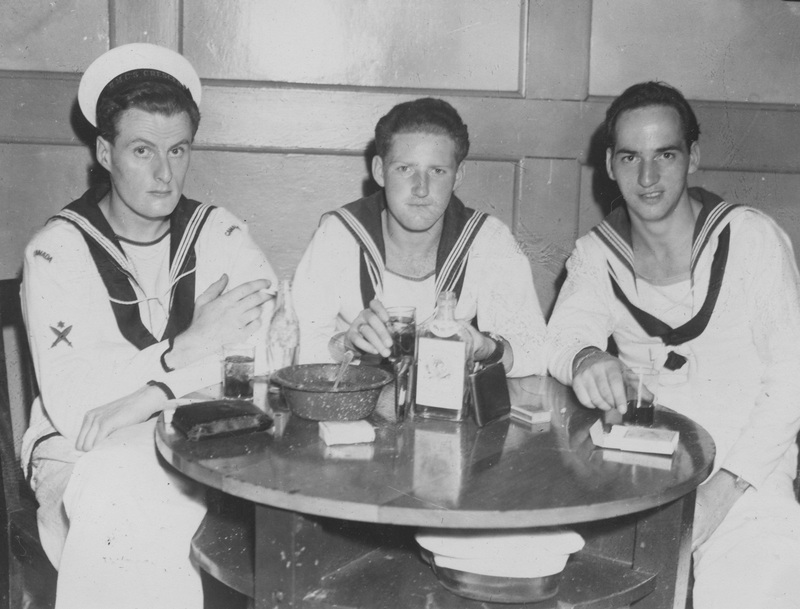 "In an orderly fashion by messes we exchanged ships while alongside inn San Diego. 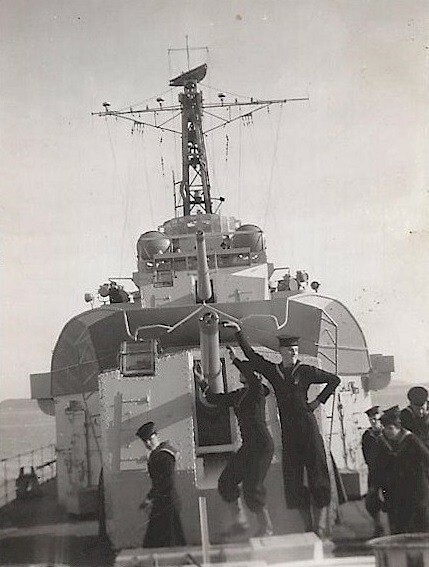 I actually preferred the Crescent, older ship she had been converted with modernization of the Operations department plus all the updated equipment, with bunks similar to what the Yanks had for bunks, strapped canvas."